We’d love your help. Let us know what’s wrong with this preview of Mortimer by Anthony Wilson. To ask other readers questions about Mortimer, please sign up. I've always loved Roswell stories--I'm a big fan of the Roswell TV series, and have been reading about UFOs since I was a little boy. The mix of fear and excitement of meeting a new, intelligent, extraterrestrial species has always kept me coming back to stories like these. 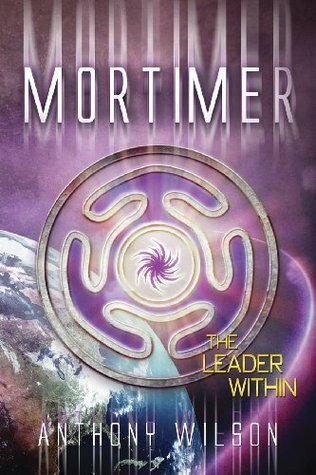 Mortimer takes a different spin on the subgenre, launching us into the future. President Martin discovers that there's a lot of truth in the Roswell stories from nearly a century before. Now the aliens are coming back, and the I've always loved Roswell stories--I'm a big fan of the Roswell TV series, and have been reading about UFOs since I was a little boy. The mix of fear and excitement of meeting a new, intelligent, extraterrestrial species has always kept me coming back to stories like these. Mortimer takes a different spin on the subgenre, launching us into the future. President Martin discovers that there's a lot of truth in the Roswell stories from nearly a century before. Now the aliens are coming back, and the new president has only six months to figure out a solution when his predecessors could not. Anthony Wilson traces the initial inspiration for Mortimer back to a high school senior class trip to Washington, D.C. in 1984. As a journalist in the late 1980s, Anthony was encouraged to resist the urge to write a novel. As a parent in the 1990s, he did not have time to write a novel. As a project manager in the early 2000s, he was not sane enough to write a novel. In 2007, Anthony rekindled the Anthony Wilson traces the initial inspiration for Mortimer back to a high school senior class trip to Washington, D.C. in 1984. As a journalist in the late 1980s, Anthony was encouraged to resist the urge to write a novel. As a parent in the 1990s, he did not have time to write a novel. As a project manager in the early 2000s, he was not sane enough to write a novel. In 2007, Anthony rekindled the original spark and secretly started typing. What began as a study of leadership, morphed into a futuristic/sci-fi/fantasy with a thinly veiled message… you can handle whatever life throws at you as long as you trust in yourself, stay focused, and lean on your friends and loved ones. Anthony has a bachelor’s degree in Communications from Missouri Southern State University (Joplin, MO) and a master’s degree in Human Resource Development from Pittsburg (KS) State University. He lives in Rochester, MN, with his wife, Linda.